This year marks the 47th annual Folk Arts Festival sponsored by S.P.B.H. There will be over 100 assorted craftsman from Kansas, Oklahoma, Texas, New Mexico, Colorado, and Nebraska. 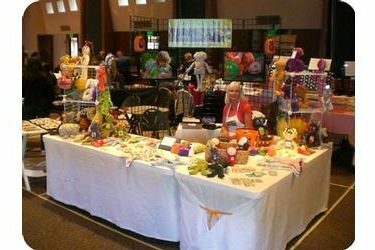 The Folk Art Festival will take place at the Seward County Activity Center from 9:30am to 5:30pm Saturday and 12:00 noon to 5:00pm on Sunday. The event is free to the public.Santa will be there once again for the children to enjoy, with a special appearance by Poppa D. Clown.